As a rideshare driver, you are required to carry your own insurance, however most insurance companies have exclusionary policies applicable to vehicles that are used for rideshare. This means that your own insurance will not provide coverage in situations where you were using your vehicle for rideshare purposes. TNC’s, including Uber and Lyft are required to carry commercial insurance policies that cover both drivers and passengers when a vehicle being used for rideshare purposes is involved in a collision. TNC coverage is limited in certain circumstances and your coverage eligibility is determined by the “phase” of TNC activity when the collision occurred. As a passenger, if you were involved in an accident that involved a rideshare vehicle using a TNC platform, you are entitled to recover under the applicable TNC policy. Transportation Network Companies - What Are They? 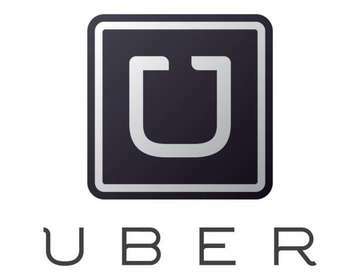 As defined by Nevada Revised Code 706(A), a Transportation Network Company or “TNC” is an “entity that uses a digital network or software application service to connect a passenger to a driver who can provide transportation services to the passenger.” Uber or Lyft are examples of popular TNC’s. The fact that a TNC functions as a platform for ridesharing raises interesting insurance questions and in some circumstances, it can seem confusing. When Does a TNC’s Commercial Coverage Apply? Phase 1: TNC driver is logged into the app and is available to accept passenger(s). Phase 2: TNC driver has accepted a request from a passenger (a “match”) and is in route to pick up the passenger. Phase 3: Starts when the passenger enters the vehicle and ends when the passenger fully exists the vehicle. For Drivers: If you are NOT logged into the app, you are NOT considered to be driving for a TNC. Both Uber and Lyft use this phase system to determine the extent of applicable coverage that would be extended to you in the event of a collision involving a driver using their rideshare platform. An easy way to break the coverage down is to look at how involved in the rideshare process the driver actually was. The more involved the driver, the more coverage available. What Is the Minimum Coverage Required in Nevada for TNC Drivers? Thus, in Phase 2 or Phase 3 of TNC activity, Nevada law requires that TNC’s provide coverage of up to $1.5 million in any one accident. The limits for Phase 1 of TNC activity, however are $50,000 per person and $100,000 per collision. NRS 690B.470 (1)(b) describes phase 1 as a driver being logged into the app, available to receive requests, but not otherwise providing transportation services. Phase 1: During this phase, where the driver is logged into the app, but has not accepted a ride, Uber provides liability coverage to a third party if the driver is involved in an accident that is the drivers fault. The limits are $50,000 per person/$100,000 per accident and $25,000 for property damage. Phase 2 - 3: They provide the same liability coverage for both phase 2 & 3—that is a minimum of $1,000,000 per accident. Uber notes that these limits are subject to variation state by state. Uninsured or Underinsured motorist coverage (UM/UIM): If a driver is in route to pick up a passenger, or transporting a passenger at the time of a collision, Uber will extend $1,000,000 of UM/UIM coverage per accident. Personal Use: No Coverage -- your own insurance policy applies. Phase 1: When driver mode is on, but no ride has been accepted, Lyft provides contingent liability coverage to protect you if your personal insurance doesn’t. That is $50,000 per person, $100,000 per accident and $25,000 for Property Damage. Phase 2-3: Lyft provides liability coverage from when the ride is accepted through when the ride has ended in the app. The policy has a $1,000,000 per occurrence limit. 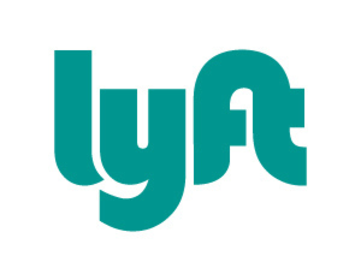 Lyft notes that coverages may be modified to comply with local regulations and/or state laws. UM/UIM: Lyft does not indicate what the policy limits of their UM/UIM policies are but says that it varies by state. Driver mode is off: No coverage--your own insurance policy applies.